This is a repost of the article I published on Salesforce Developer Blog. 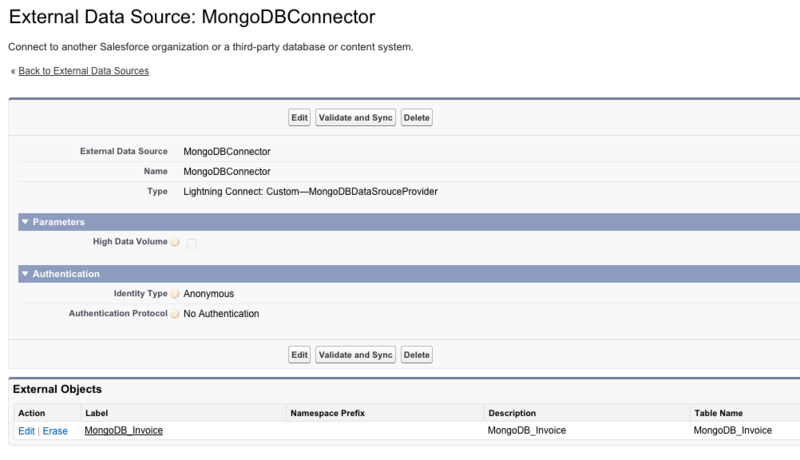 Summer '15 Platform Release brought us the awesome Lightning Connect Custom Adapters: you can connect to external data sources and use them as custom Salesforce Objects writing custom Apex code. After I read Introducing Lightning Connect Custom Adapters by Lawrence McAlpin, I wanted to get my hands dirty and try to implemented my own version of the adapter thinking of a "pseudo-real" use case. At first the DataSource namespace documentation has been published here, this way you can understand all the objects / interfaces / methods we'll be using in this example. 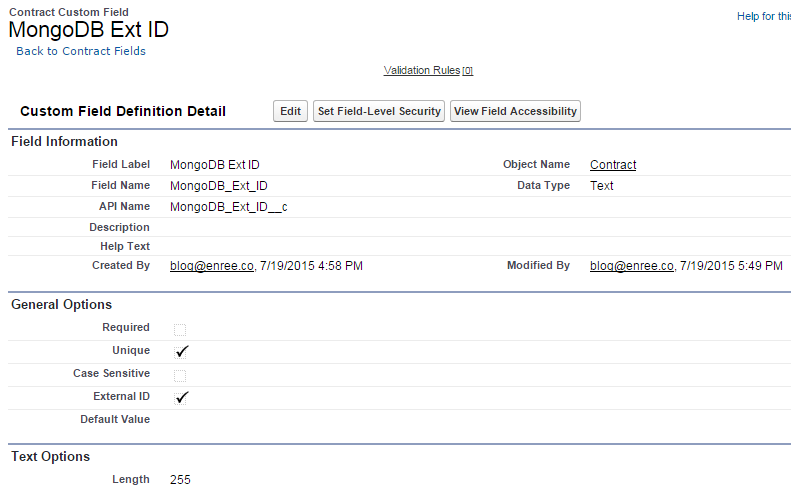 The next step is to give MongoDB a REST interface. This is the updated repository with all the infos of the current changes and original project of the new Heroku Crest project. You need to set your app name, the host name and the server port. 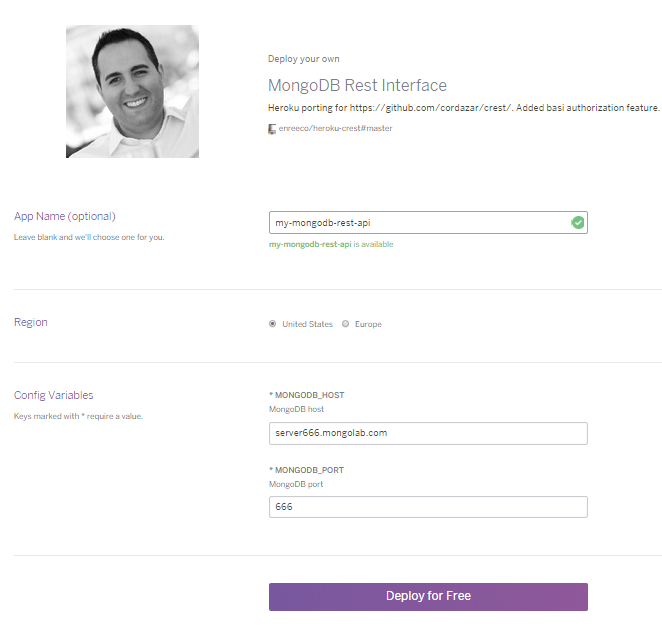 The last thing to do is to create at least one database on your MongoDB server with one valid user (with at least read permissions) and one table. In our example we have a "lighthningconnect" database with an "invoices" table. You can also use POST/PUT/DELETE methods. The whole code of the Salesforce implementation can be found here. The implementation is similar to the one of Lawrence McAlpin's post. 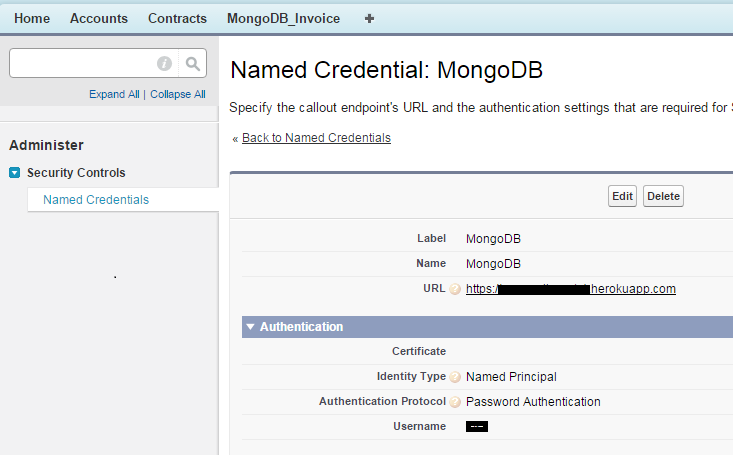 The main modification involves the handling of the named credential and MongoDB database and table names. // Always declare these two fields. Basically we do a GET HTTP callout to our endpoint (the Named Credentials will work as a charm to authenticate user) and parse the result to create the object that will be used to present the query result. The getSoqlQuery() method has been modified from Lawrence's implementation, in order to adhere to the Heroku Crest application requirements (a JSON input query): we support all basic filters and result ordering. 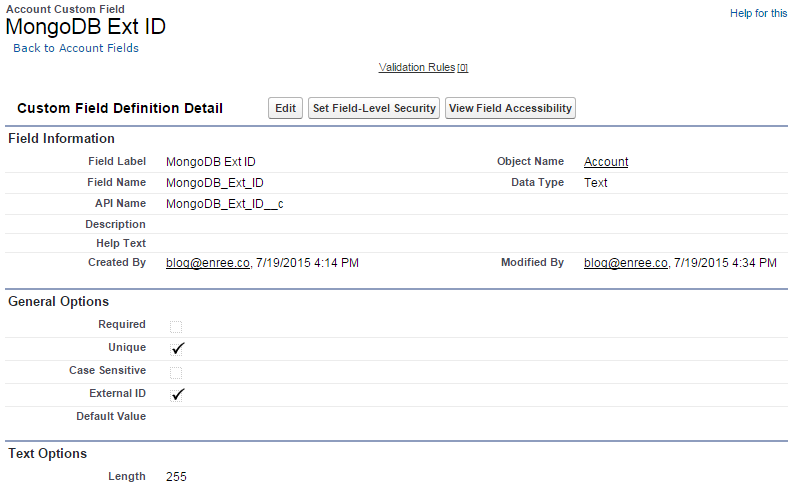 Click on the Validate and Sync button to get the new External Object named MongoDB_Invoice. Next step is to link this External Object to actual Account and Contract records referenced by the "contactid" and "accountid" fields on the "invoices" table. 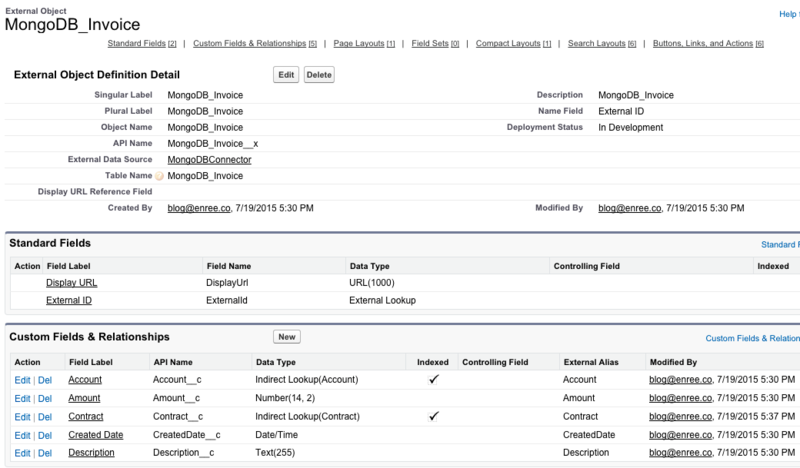 Then we can change the Contract__c and Account__c fields on the MongoDB_Invoice__x external object to be indirect lookups: follow this article but you have to change the field types of both fields type to be Indirect Lookup instead of External Lookup. 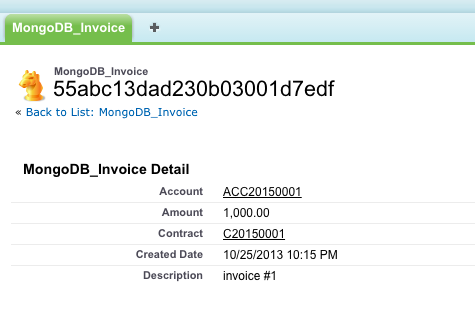 This way each record of type MongoDB_Invoice__x that have a "Contact__c" field equal to Contact.MongoDB_Ext_ID__c will be linked to the Contract as if it were a standard lookup field (the same happens for the Account object). You can certanly improve this implementation and add better query handling, speaking as a pure developer, it's been a real funny implementation. Can't wait to see DML statements to be added as well! Stay tuned for the next platform releases!